PHILADELPHIA, Sept. 3, 2014 – Baird, an international, employee-owned wealth management, capital markets, private equity and asset management firm, announced today that it has added industry veteran James W. McGuire as Senior Vice President, Branch Manager, in its Philadelphia wealth management office. In addition to managing the office, McGuire will serve clients as a financial advisor. With more than 20 years of industry experience, McGuire joins Baird from Wells Fargo where he had been a branch manager and financial advisor since 2009. Prior to that, he was with the former A.G. Edwards and Wachovia Securities firms. He began his career in the financial industry in 1991 with MetLife. McGuire holds a bachelor’s degree in English Literature from Miami University in Oxford, Ohio and lives in Pottstown, Pa., with his wife Tracy. In July, McAdams Wright Ragen, Inc. (MWR), an investment firm headquartered in Seattle, became a wholly owned subsidiary of Baird Financial Group (Baird), the holding company ofRobert W. Baird & Co. Baird’s wealth management business now encompasses more than 800 financial advisors serving clients through more than 80 offices in 26 states, and has client assets of more than $100 billion. Baird is an employee-owned, international wealth management, capital markets, private equity and asset management firm with offices in the United States, Europe and Asia. Established in 1919, Baird has more than 3,000 associates serving the needs of individual, corporate, institutional and municipal clients. Baird has more than $125billion in client assets. Committed to being a great place to work, Baird ranked No. 9 on FORTUNE’s 100 Best Companies to Work For in 2014 – its 11th consecutive year on the list. 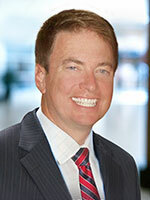 Baird’s principal operating subsidiaries are Robert W. Baird & Co. and McAdams Wright Ragen, Inc. in the United States and Robert W. Baird Group Ltd. in Europe. Baird also has an operating subsidiary in Asia supporting Baird’s investment banking and private equity operations. For more information, please visit Baird’s Web site at rwbaird.com.